Playlist and original podcasts by the Sandy Beats collective. We are compiling a Spotify playlist of the songs featured on Sandy Beats. Click here to subscribe to the playlist. 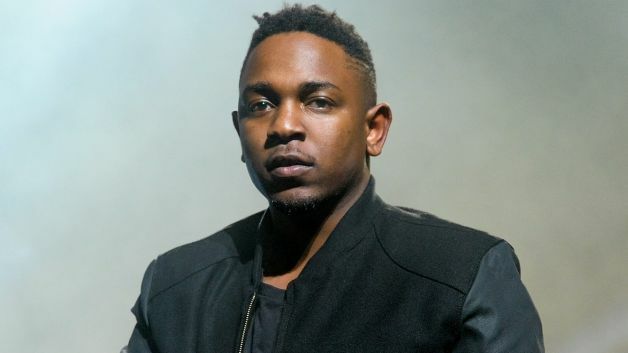 In this show we address the Kendrick Lamar controversy! What a show it was, we even had a whole set dedicated to #RappersKendrickNamed and it was ON FIRE! This show has a talk heavy segment because hip hop drama called for it. From what I was told by our fans out on Dickson Street last night, it was an engaging conversation. Head over the The Concrete Schoolyard to join the conversation. Last week’s show was phenomenal! Dj E-Yo and Dj El Barrrney brought you a rocking bass banging show! We ended up having like a two hour show with Dj Ecclesiastes 5 foot 7 and Fedora the Explora. Is that Christina Ricci looking all fine after relations with Lord Quasi? We went hard with Christopher Droner by Ab-Soul and killed it for over an hour and a half. If you need a hip hop fix bump this show ASAP! We have some *New* Childish Gambino – Centipede also. Tune in and listen! In case you didn’t know the Concrete Schoolyard is a storied program on Fayetteville’s KXUA 88.3 student ran radio. It’s past is deeply rooted and has always brought a much needed hip hop presence to a city that has struggled to have hip hop as a mainstay. It is currently Hosted by Japan born, North Carolina raised Dj E- Yo, who has been a part of the show for more than a few years, and El Dorado born Dallas raised Dj El Barrrney. Each Dj brings different talents to the front. E-Yo live mixes his sets for every show. That means he is on the turn tables as well as the mic. El Barrrney AKA Sandy Beats’ own Bernard Oliver focuses on social media and media relations. and we followed suit bringing you the “latest and greatest in hip hop you haven’t heard.” You’ll just have to listen for all the other music we played! Beyond Spotify, I am very thankful for websites like YouTube and Vevo because they allow me to watch music videos. Due to my age, I still remember when MTV and VH1 played actual videos, and I still remember spending hours watching them. I often spend hours watching them to this day…but now I can watch them on demand. A few of them have been in heavy rotation for me or they are new videos from favorites of mine. The New Zealand Band, The Naked and Famous has become an obsession of mine (not unlike Edward Sharpe and the Magnetic Zeros) . They will be releasing a new album, “In Rolling Waves” on September 16th. Their first single off the new record is “Hearts Like Ours”. This video gives me the chills. As mentioned in a previous post, the Manic Street Preachers, are one of my most favorite bands. Since my last post, they have released another video off of their upcoming release, “Rewind the Film”. This new song, “Show Me The Wonder” is quite catchy. The star of the video, Craig Roberts, also happens to be the star in the Killers video “Here with Me” which was directed by Tim Burton and the song was co-written by Fran Healy of the band Travis. I like to make connections between the music I like… so there you have it. You’ve also heard me talk about the North Carolina based band, Matrimony. This band made up of a married couple and two brothers of the female lead singer, has been a recent favorite of mine. Their newest video is for a song called “Golden City”. I love everything about this song. The Farewell Circuit is a Minneapolis based band that I found while surfing through Spotify one night. I really enjoy their sound, and style. Their newest single is titled, “We Were Wolves”. I heard about the San Diego based band, Wavves last Thursday at the Edward Sharpe and the Magnetic Zeros show. My friend and I met a drunk man who bought us drinks and told us about this band that is a mix of the Beach Boys and Nirvana. They will be playing the same venue where we saw ESM0s and my friend and I were quick to pick up tickets to their show even before hearing them. After listening to their songs, I think we will be in for a treat. Their newest single off of their most recent release “Afraid of Heights” is called “Demon to Lean On”. You may not know it (yet) from reading this blog, but I am a HUGE Imagine Dragons fan. I first saw them on Friday December 10, 2010 when they opened for The Temper Trap at the Hard Rock Cafe on the Las Vegas Strip. I was there to see Temper Trap. I had heard of this up and coming local band, Imagine Dragons, from a friend who had seen them about a year earlier and had become a mega-fan. I was skeptical, some of the local Vegas bands I’d seen were just not that good. However, as soon as I saw lead singer, Dan Reynolds start singing, I knew this band would be huge. The stage presence of Dan, Wayne Sermon (guitar) and Ben McKee (bass) and former members Brittany and Andrew Tolman (keyboards and drums respectively) was incredible. I do not think Temper Trap had any idea that the opening act would totally destroy anything they could put on as a band. I am still a fan of Temper Trap, but I am a super fan of ID. Other than the crazy energy and catchy tunes, I do not remember much of the show beyond the feel of the band and of the crowd. However, I do remember one song. That song is “Tokyo”. Since that day, this song has remained one of my favorite ID songs, and one of my favorite songs ever. I have had the good fortune of seeing this song performed live 4 times including that first occasion. However, since the band changed members and released Continued Silence and Night Visions, they’ve not played Tokyo live in Las Vegas (at any public show I am aware of). Tokyo is also my wife’s favorite ID song. And when I say it is her favorite song from ID, I mean, this is the one song she wants to hear them play. She knows all the other songs, but this one song is what represents Imagine Dragons for her. Not having heard Tokyo live in almost two years has been a tough pill to swallow. This is why, with the help of @begt and other ID fans, we are spearheading #OperationTokyo in hopes that Imagine Dragons will play Tokyo live at the Life Is Beautiful festival which @begt, my wife and I will all be attending here in Las Vegas. For my wife and I it will our 6th wedding anniversary the week of Life Is Beautiful and it would be amazing to see them perform this song again. “Where do I have to go to find a honey with a little soul?”. I’ve already found her but I would love to dance with her to “Tokyo” again! “Tokyo” did not appear on Continued Silence or Night Visions (or the Deluxe Night Visions). You can find it on the It’s Time EP though. You can also watch the complete gem of a video that was made for the song. The band asked fans to submit video of themselves dancing and singing to the song. It is pure, unadulterated gold in my opinion. Enjoy the video. If you feel the inspiration to assist in our mission, make sure you let Imagine Dragons know that Life will be even more Beautiful when they play “Tokyo” for the Vegas fans at the Life is Beautiful music festival. 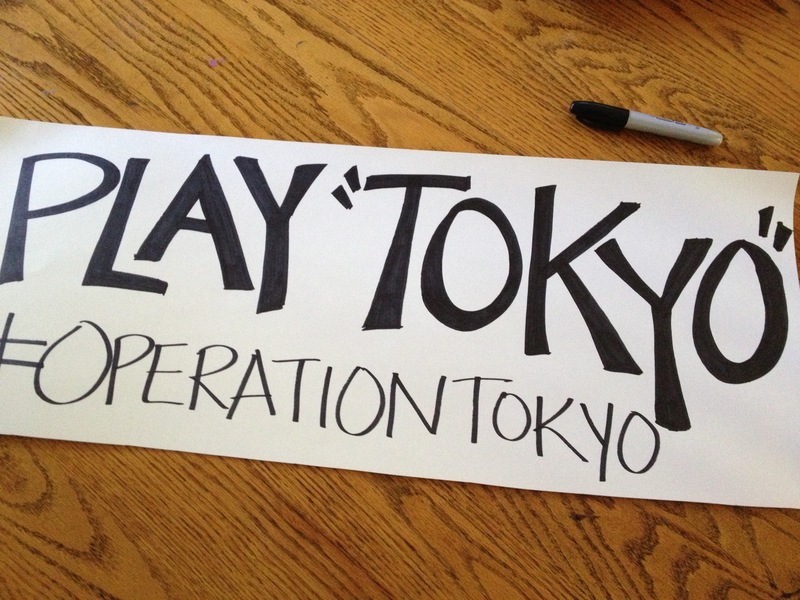 If you use the twitter, make sure to use the hash tag #OperationTokyo. One of the bands that has recently hit me in the face with great tunes is Crystal Fighters. I came to it by Spotify recommendation. This new-ish Spotify feature is a lot better than Pandora and iTunes recommendations, anyone else thinks so too? I thought it was a new band, but I was wrong. These guys have been around since 2007 and have two albums and a bunch of and remixes out. Their first album, Star of Love, was released in 2010, but didn’t make it to the States until the Spring of 2012. Their most recent album, Cave Rave, was released on May 27th. The first song I heard was “LA Calling” and was enough to get me hooked. They sound like some type of alternative dance party spiced up with flamenco sounds (i.e. “Xtatic Truth”). The British/Spanish band has its origins in Navarra, Spain. January is Coming in HOT!